How did you and your wife, Shelley, decide to found Mary’s House Catholic Worker in Birmingham, Ala., after a dozen years on the other side of the country? We had been living in the Silverdale, Wash., area, working on a Gandhian campaign in response to the Trident submarine and missile system based there. In the late 1970’s, Shelley and I were part of a community that founded the Ground Zero Center for Nonviolent Action alongside the fence of the Trident base. The term ground zero means the hypocenter of a nuclear blast, as at the Nagasaki cathedral where the atomic bomb exploded, the point at which a spiritual chain reaction of love and truth can also begin. Sharing 330 feet of barbed wire fence with the Trident base, we were at ground zero in both senses. With others, we’d make our way over the fence to pray and then wait to be arrested. In the early 80’s, our Ground Zero community coordinated a tracks campaign along the routes of trains bringing warheads to the base, passing through hundreds of towns and cities. That symbolized for us the reality of nuclear weapons in the heart of the nation. In the late 80’s, the nuclear train began going more and more to the east coast Trident base at Kings Bay, Ga. Birmingham was on that route. Shelley and I felt it important to make the connection between the billions spent on our weapons systems and the poor communities along the tracks, whose residents weren’t having their basic needs met. In Birmingham that connection could be made more clearly, so we moved here, at which point the tracks campaign stopped the nuclear train. So we sought the next step, starting Mary’s House, where we could help with some of those unmet needs. Birmingham is a big medical center, and many low-income people come here to visit relatives in local hospitals, but without the means to pay for motels or hotels. So we provide hospitality especially for them, along with other services in the tradition of the Catholic Worker movement. You have been arrested and jailed many times for your peace work. How has that affected your outlook? Going to jail has been a learning experiencebeing with people much poorer than I ever was. The first time, during the Vietnam War, I was teaching theology at the University of Hawaii. Several students and I were arrested for sitting in front of a troop convoy taking members of the Hawaii National Guard to a jungle-warfare training center. In jail, what struck me was that almost all the other prisoners were brown-skinned. I had few native Hawaiians in my classes, but was surrounded by them in jail. It’s the same reality here on the mainlandthe majority of those locked up are poor, often people of color, far more than in the population as a whole. So what’s going on here? In one arrest in Hawaii, something happened that seemed miraculous. We had a Lenten campaign that involved leafleting, fasting and praying outside Hickham Air Base, which as Pacific Air Force Headquarters did the targeting for the bombing of Vietnam, Laos and Cambodia. Once I accidentally drove onto the base because I was in the wrong lane of traffic. It seemed like an invitation to proceed, so I did and walked into the headquarters building. No one stopped me. Another day, when several of us went in the same thing happened, but this time I had a bottle of blood. I walked into the Electronic Warfare Office, saw an unlocked file cabinet with an open drawer and poured blood over the files, which helped break the silence in Hawaii about the war crimes that office was doing in our name. That action, at the same time, opened up a darkness in myself. Shelley and I hadn’t resolved which of us would do civil disobedience first, as we took turns caring for our children while the other was in jail. By my participation in the blood-pouring action, I violated Shelley’s convictions and feelings. I was a walking contradiction that day. Yet the non-violent community in our Lenten campaign went way beyond my sinful limits. That community was the reason God’s grace opened doors that we didn’t imagine could be opened. Are there other kinds of events that you regard as miraculous? Miracles can happen in the form of dramatic changes in people’s thinking about violence. Bob Aldridge, for example, was an engineer who had helped design the Trident missile at the Lockheed Missiles and Space Corporation. At age 49 he left that work behind and became a peacemaker, writing books on the weapons he designed and the nonviolent alternatives to them. He was our inspiration in beginning the Trident campaign. He and his wife, Janet, had six children to support, but Bob came to feel the work he was doing was wrong. Their family had a Christmas retreat and decided to make the lifestyle changes necessary for him to resign his job. When we would hand a leaflet to an employee going into the Trident base, we’d think, Maybe that’s another Bob Aldridge going in. Some workers there left their jobs because of what they would come to realize about nuclear weapons and went on to become peacemakers. The campaign to stop Trident began in the mind and heart of a man who designed it. What happened in the conscience of Bob Aldridge was the beginning of a spiritual chain reaction. Do you see Bob Aldridge’s leaving his job, when he had six children to support, as an example of depending on divine providence? Yes. Even on the level of our most basic needs, Shelley and I have always believed in the economics of divine providence. It’s our conviction that Jesus meant what he said in the Beatitudes and in Matt 6:31, Do not be anxious, saying what shall we eat or what shall we drink or wear? That’s the essence of the economics of providence. It may mean not having a paying job, which has usually been our situation. If we don’t put our reliance on what we have in our pockets, we’re freed to do what we feel is necessary for peace and justice. Even raising our children when we had no paying jobs, Shelley and I have always tried to live by the economics of providence. It has always worked for us. Dorothy Day and the Catholic Worker have given the example we’ve tried to follow. We don’t say what others should dothat’s up to them. In your book Resistance and Contemplation, you say that contemplation begins with a perception of powerlessness. Please comment on that. It’s an illusion for me to think I can do what I assume I can do. My experience in life has been that whenever I’ve been most confident about what I’m doing, that’s when I have the most difficulty. But once I realize it’s all in God’s hands, that is when I’m on the right road. When we acknowledge our powerlessness, recognizing that there is a deeper power of nonviolence, love and truth at work, then anything becomes possible. But once you think you’re the exclusive carrier of power, you’re done for. How did you meet Dorothy Day? I met her when I was a student at Santa Clara University in California. She spoke there, and I began to write for The Catholic Worker. Later, when I was in Rome for the Second Vatican Council, she stayed with our family. She and I worked together with other friendsEileen Egan, Gordon Zahn, Jean and Hildegard Goss-Mayr, Thomas Merton and Dan Berriganin the vision and planning stage, appealing to the bishops at the council to condemn total war and support conscientious objection in the Constitution on the Church in the Modern World, as they eventually did. Dorothy has been one of our teachers. Although a devout Catholic, she was constantly crucified by the church, so to speak, because of its involvement in the very war-related issues she was trying to address. She saw that resisting preparations for nuclear war was all of a piece with feeding the hungry and sheltering the homeless. The good news is all of that together. How do you continue your peace advocacy in Birmingham? Twice weekly we stand with others in vigil in the center of town with signs that have simple messages, like God Loves Enemies and Wage Peace. It’s our way of reminding people that there are alternatives to violence. People stop and talk with us, especially now because of the war in Iraq. They tell us about their sons and daughters and friends who have been there. Some disagree with our position and challenge us, but many agree and even thank us. Our talking with them creates a way of exploring our responsibility for a war that is being carried on in our name. Shelley and I have both been to Iraq several times, and we feel it’s important to share with others what we’ve seen. Our vigil on the street is a way of rediscovering community, which is another one of Dorothy Day’s themes. Would you comment on Martin Luther King Jr.’s concept of the beloved community? The beloved community includes people on both sides of the peace issue, not just the ones who take part in peace-and-justice demonstrations. The beloved community includes our brothers and sisters in uniform and the ones in the Trident bases and the people in the White House. Dr. King had an all-inclusive vision, one that included those we might regard as our opponents or even our enemies. The beloved community involves a gradual realization of what God has been trying to tell us for all time, that we are a single family. Martin Luther King articulated that in speech after speech, and he walked that talk all his life, giving us a vision and an example of what the mystical body of Christ is and what God’s family is. In your first book, The Non-Violent Cross, you refer to what you call the devout deafness of the church. Please expand on that. We love the church, but we periodically despair of it because of the way it has lent itself to war. It’s dismaying to us that the church can continue to do in the name of Jesus some of the very things Jesus stood against and for which he was crucified. The church is meant to embrace all of humanity. The church is to walk the way of the cross. That’s the heart of the Gospel: walking the way of Jesus’ nonviolent cross. As Gandhi put it, Living Christ means a living cross. Without it life is a living death. The percentage of Catholics in Alabama is small, and a small percentage of those Catholics are African-Americans. But that’s not true in our parish in Birmingham, where Shelley and I are in the minority. It’s a community of deep faith, a good place for us to be. We worship in a Passionist parish, Holy Family, near Mary’s House. Mass is also celebrated at Mary’s House on the first Friday of each month, and every Advent and Lent we sponsor a retreat. Archbishop Raymond Hunthausen led one of themwe remain very much in touch. He has been one of our greatest teachers and leaders, a prophetic presence who gave us inspiration at the Trident base. He once called Trident the Auschwitz of Puget Sound. When he refused to pay taxes because of his commitment to peace, that was further inspiration. In many ways Archbishop Hunthausen walked the way of the cross. As promised by Jesus, he suffered for it and is a joyful man. For me, daily prayer is simply reading the Gospel and trying to open myself to its message. I just sit and read a few sentences and try to understand what they’re about. Through friends at our local Beesom Divinity School, I have been able to study the Gospels in their original language. The house I am speaking to you from is what we call the tracks house, literally by the railroad tracks where the Trident warheads passed on their way south. When the trains stopped carrying them, the tracks house became more of a retreat and writing place, a hermitage. The other house, Mary’s House, is our outreach place, where we serve people in need. You are now writing a book about the assassination of John F. Kennedy. Wasn’t the original plan to include the assassinations of Robert Kennedy, Martin Luther King and Malcolm X? Robert Ellsberg, my editor at Orbis Books, pointed out that it would mean too big a book, so now there will be three. The first, on John Kennedy, will be completed this spring. Each book is to be what Gandhi called an experiment in truth, seeking the truth of why these four people of faithtwo Catholics, a Baptist and a Muslimwere willing to give up their lives, and why their lives were taken. John F. Kennedy surprised me, since as a Catholic Worker I do not favor that kind of presidential power. But on looking at his life closely, I’ve been turned around in my thinking about him. I believe he himself turnedtoward risking peace from a position of powerand that led to his being killed. It has been helpful for me to realize by studying his life that anything can happen through grace. And it can happen anywhere, not excluding profound changes in the lives of people at the height of power. That is what’s necessary for all of usto be open to miracles. We are all at ground zero, not only our brothers and sisters who were at Hiroshima, Nagasaki and the World Trade Center. As a family, we can turn together toward peace. Today we need a wider kind of miraclenamely, a spiritual conversion of humanity to the abolition of war. That can happen. As Pope John XXIII said about peace in our family, after the resolution of the missile crisis, Nothing is impossible. This article also appeared in print, under the headline "Believing in the Miracle of Peace," in the February 26, 2007 issue. 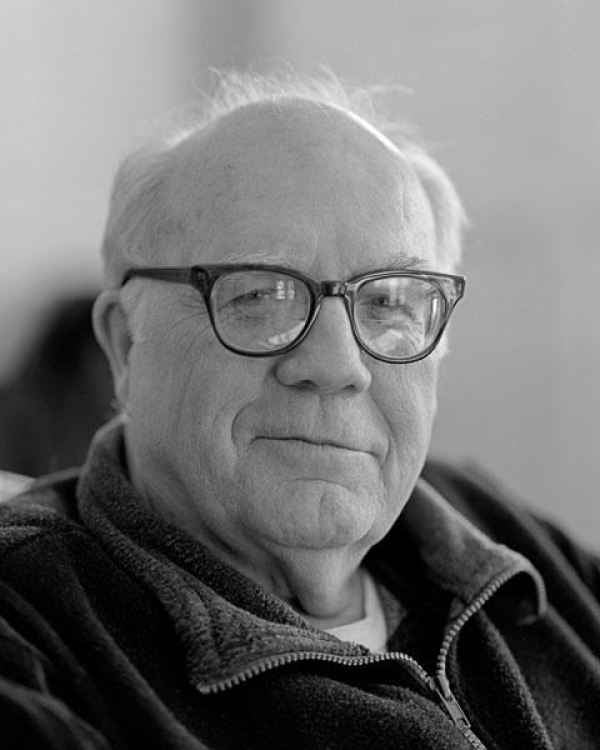 Jim Douglass, a longtime peace activist, is the author of four books on nonviolence, all recently republished by Wipf & Stock Publishers, Eugene, Ore.: The Non-Violent Cross (1968), Resistance and Contemplation (1972), Lightning East to West (1986) and The Nonviolent Coming of God (1992). The interviewer is George M. Anderson, S.J., an associate editor of America.